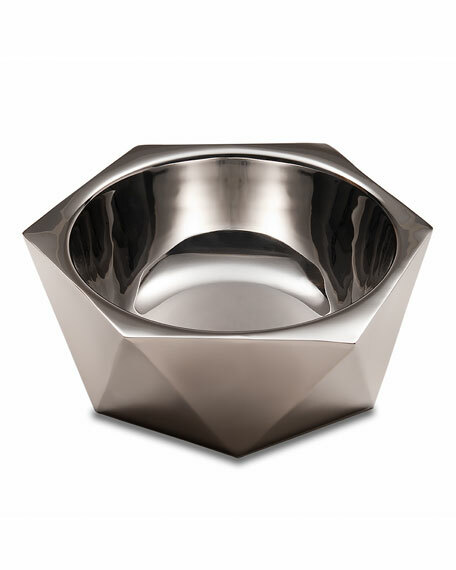 A salad bowl like no other; our Ibiza double-walled bowl dazzles guests with its signature high polished facets. You'll never want to let go of this unique beauty, and since it's made from 100% stainless steel, you may never have to. Mary Jurek's Ibiza Collection is shatterproof, chip resistant, durable and has a long life. Made of 18/8 high polish and high quality stainless steel, hand-cut planes to fit a modern geometric design. Double-walled insulation of air between the walls helps keep salad fresh and ice cold. Can also be used for desserts as it can keep food chilled for a longer period of time. 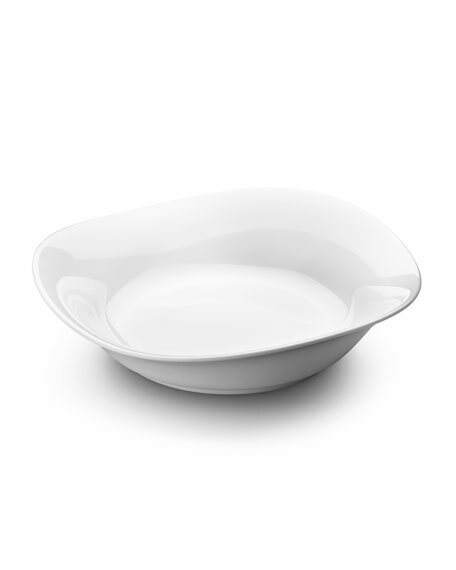 White porcelain serving bowl. 8.25"Dia. 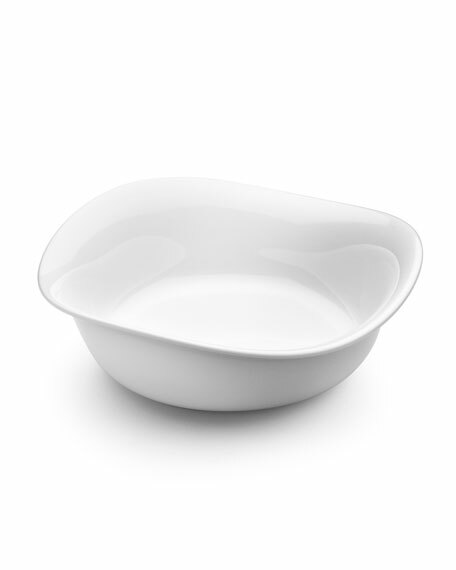 Dishwasher safe, microwave safe and freezer-to-oven safe. Designed by Constantin Wortmann. 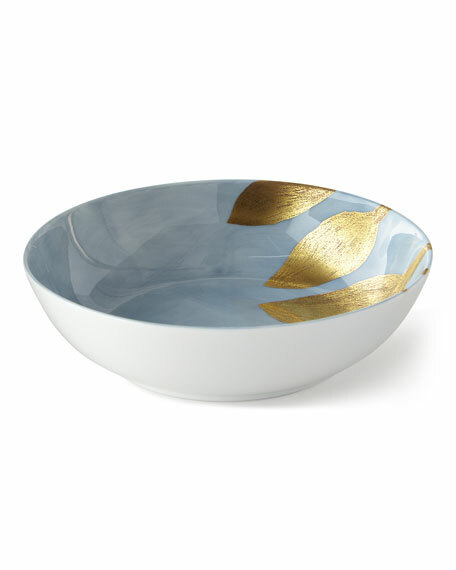 Daphne Lavande porcelain cereal bowl. 24 kt. gold leaf design. 7.5"Dia. Dishwasher safe. Made in France. 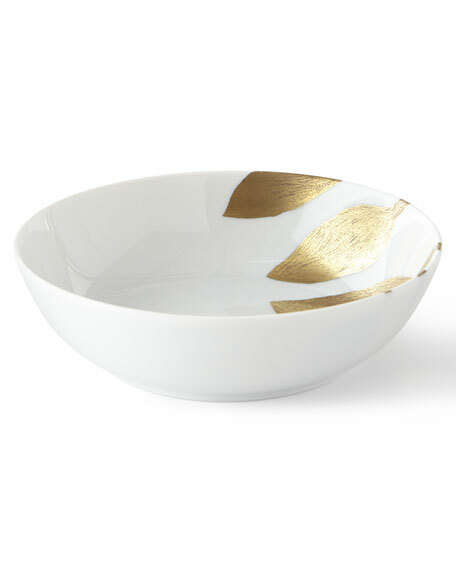 Daphne porcelain cereal bowl. 24 kt. gold leaf design. 7.5"Dia. Dishwasher safe. Made in France.